Why settle for one artist when you can have a whole team assisting you with looking your best on your wedding day? Fresh Face Makeup has the professionals available to ensure that your makeup and hair will look flawless throughout the day. In fact it is often mentioned that permanent makeup options are completely unnecessary with the long-lasting effects provided by this service. Just viewing the before-and-after results will have you convinced that this service is the right one for you. When it comes to your wedding hair and makeup you certainly shouldn’t leave it in the hands of the second best artist in the local area. Alan is the premium option for brides that truly appreciate quality. He has worked throughout California and has collaborated with a huge number of celebrity clients. His special skills are available to you on your wedding day for some surprisingly affordable prices. Seeing Alan’s praise-filled reviews, long list of awards and extensive experience will convince you that he is the right choice for your wedding makeup. For those women that want a clean yet creative look for their wedding day, Imagi by Fiona is easily the best option in Oakland. 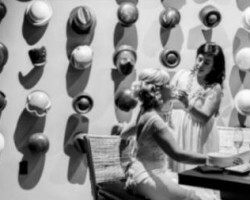 Fiona was able to fulfill her passion of making women look their best through this servicer and has now become one of the most sought after Oakland makeup artists. She will work closely with you to understand exactly how you would like to look on your special day and will make helpful suggestions to what will make you look your absolute best. 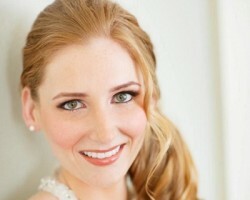 Amy Lawson has been providing expert bridal makeup to women in Oakland since 2007. Since this time her work has been featured in a wide range of wedding publications and she has earned a reputation for her commercial makeup artist work. The reason that Amy’s work is now so well known is because she completely dedicates herself to each client she is assisting at that moment. No matter what kind of look you are going for you will find that Amy will deliver excellent results. Every bride-to-be that goes to Lia Negrete for her professional services comes away loving the entire service. Not only will she provide amazing makeup results but Lia’s personality makes the whole experience pleasant from beginning to end. This artist loves what she does and this is clear to each of the women she has worked with in the past. For a makeup artist in Oakland, CA that really knows how to bring the best out of every client you shouldn’t look any further than Lia.